GAJ is one of the largest and longest-established UK architectural and design firms in the UAE. Throughout our history, which spans nearly 30 years, we have created some of Dubai’s most iconic buildings and helped define the emirate as we know it today. An award-winning and multidisciplinary company, GAJ has particular expertise in hospitality, education, leisure, residential and commercial design as well as master planning and provides expertise in the associated disciplines of architecture, interior design, specialist lighting and MEP. An award-winning and multidisciplinary architecture practice, GAJ has particular expertise in hospitality, education, leisure, residential and commercial design as well as masterplanning and provide expertise in the associated disciplines of architecture, interior design, specialist lighting and MEP. 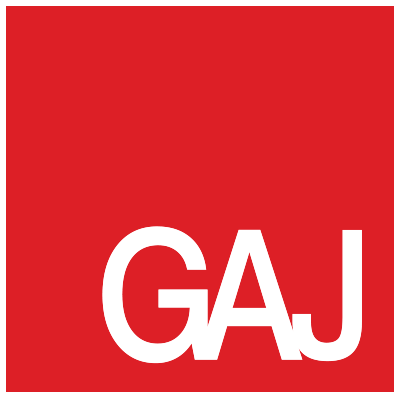 GAJ originally started in the UK in 1989 as Godwin Austen Johnson. However our lineage of partnerships harks back to 1847 with a corporate archive of landmark British architecture throughout the industrial and modern ages. In 1991 Principal and Managing Partner Brian Johnson opened the GAJ headquarters in Dubai. He had been practising in the emirate since 1975 and saw exciting opportunities to contribute to the development of a new world city. With nearly 40 years of regional experience to his name, Brian’s influence on modern Middle Eastern architecture has been pervasive. GAJ’s body of work comprises some of Dubai’s most recognisable and prized buildings. To meet the demands of the fast-developing economies across the Middle East, we continue to expand and diversify our operations. The practice is headed by seven partners and offers a wider range of expertise across architecture, interior design, specialist lighting and MEP. We believe that open communication and collaboration form a critical part of the design process where we can collectively identify objectives and expectations and assess the operational and functional relationships. Our team is our core and we ensure that everyone visits our projects on site as we feel it critical to learn from what we did well, what could be done better and how we can make it easier in the future. We actively encourage memberships of professional bodies and support our employees through the process of application and the chartership process. We work closely with our clients to create a brand identity that is unique, iconic and efficient. Hotels are constantly evolving to adapt to the demands of today’s traveller and so we put these projects in the hands of our young and dynamic design team. The results are unequivocally unique. Our holistic approach to retail comes from being in a multidisciplinary firm within a world retail hub. We understand brands but we believe in creating excitement and delivering something new. From the top down we look at where innovation can drive a solution and that is our starting point. Dubai is world-famous for its innovative leisure facilities and it can sometimes be difficult to stand out in the UAE’s leisure and entertainment centre. But we embrace challenge. It takes us out of comfort zone and allows us to do some of our best work. Every client is unique, no more so than with residential projects. Having worked on various prestigious projects throughout the region we have delivered on many high expectations time and time again. The high standards we set ourselves are reflected in the detailed finishes, the customised details and the luxurious interiors. Interiors reflect the spirit of the school. A well designed space encourages pride within the school and longevity and encourages learning more through exploration and discovery than by just teaching. Our aim is always to create high quality flexible learning environments for all users that stand the test of time. A close collaboration with our clients may mean endless meetings and discussions but we think this is important as the end result is one that is highly customised making the best use of the space available. Corporate environments work best when they put the employee at the centre of the space which in turn ensures better productivity and improved team morale.